Always remember that Until one is committed there is hesitating, the chance to draw back, always ineffectiveness concerning all acts of initiative and creation, there is one elementary truth, the ignorance of the power of commitment, focus and consistency which kills countless ideas and splendid plans. From the above, Goethe knew that nothing can come about becoming anything worthwhile in life until there is focus and commitment. 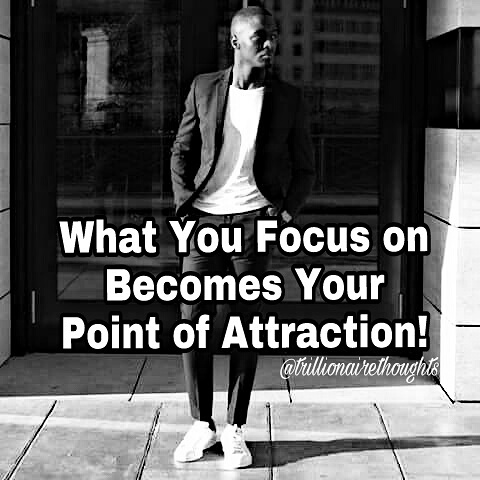 This is true because the law of focus and attraction only allows us to have things we think about each day and unconsciously draw them closer to us, until we are committed to placing our energy in one certain area, the success of our endeavors cannot be realized because our energy will be divided and constantly we will be vibrating on different frequencies. Precision is a power of focus which allows you to aim for a target and achieve it by hitting it. Always remember that: "Direction is more important than speed. Though we can't change the Hand of Time We can adjust Ourselves as well as Though we cannot change the direction of the wind…we may adjust ourselves".